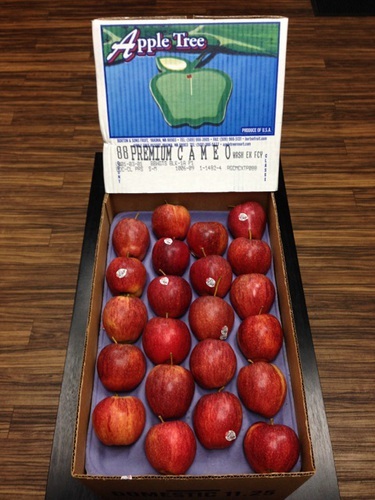 Yakima, WA – Borton Fruit has added Cameo Apple’s as well as a few New Crop Pink Lady’s to our manifest over the past week! This was in perfect timing to be able to coordinate our samples for the biggest food show of the year, PMA’s Fresh Summit taking place in Anaheim October 18th and 19th. 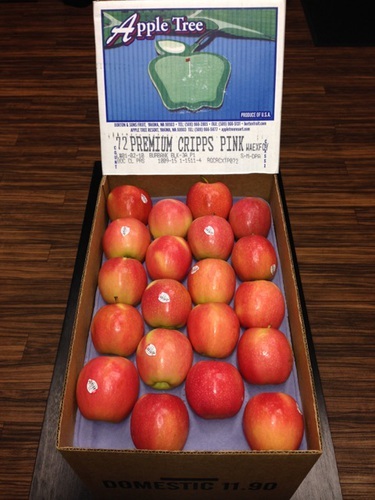 This is the first year in a few we will have Pink Lady apples at the show, as they are the latest variety we harvest each year. Be sure you stop by our booth and take a look at all new crop varieties! Our booth number is 1216. We look forward to seeing everybody. We picked our first Pink Lady apples this past week and were able to get a few bins on the line to compile our samples for the show and build a small manifest at this time. According to Chad, “Consumers will be happy to know that the apples are very sweet in taste, and our peak sizes so far have been between 80s-88s which are ideal eating sizes.” Borton will be ramping up and getting more Pinks on the line here in a couple weeks when the heart of the Pink Lady harvest gets going. 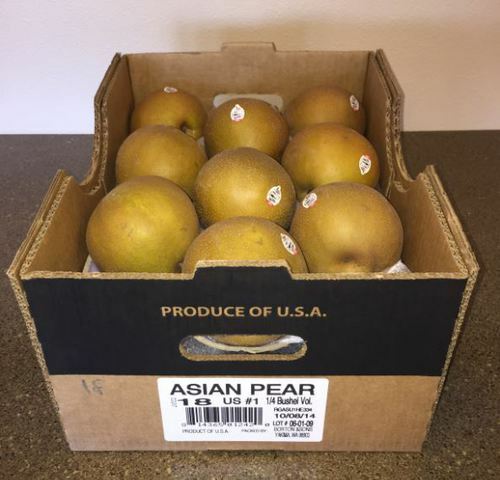 In addition to the apples, we have also started packing Asian Pears, being Borton’s second year packing this pear variety. 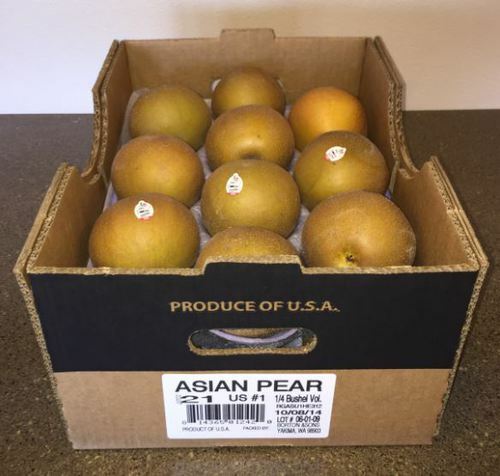 Borton will be packing this year’s limited Asian Pear volume in packages of; 9count, 12count, 18count, 21count, 28count and 42count packages. 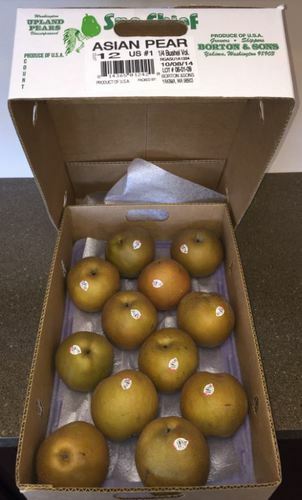 These central Washington grown pears will only be available for a short time. Please reach out to the Borton sales team to get more information on the package specifications and availability. We will also have a few of these packs in booth 1216 at the PMA this next weekend! Please come by and see us at the show! BOOTH #1216.